Hot Toys has pulled off another stunning likeness and array of accessories that are going to make the Avengers Hawkeye figure a must-have! Sideshow Collectibles now has Hawkeye up for pre-order - click here to secure yours now! 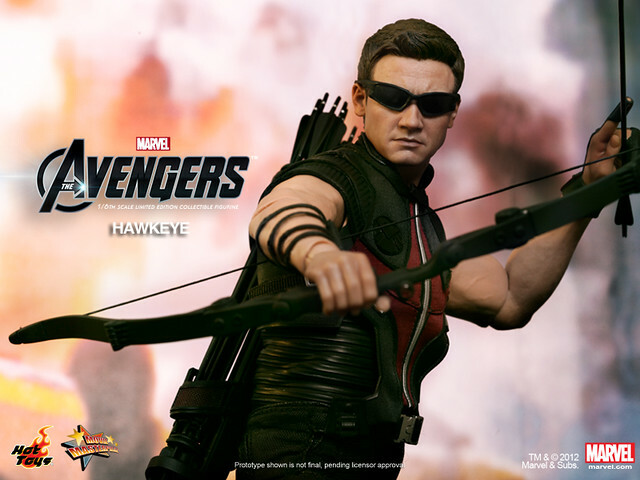 Hawkeye comes with a boatload of accessories, hands and of course his bow - which, from the promo shots, it seems he'll be able to pose with very well! I think I'm as excited for the Hot Toys as I am for the movie! 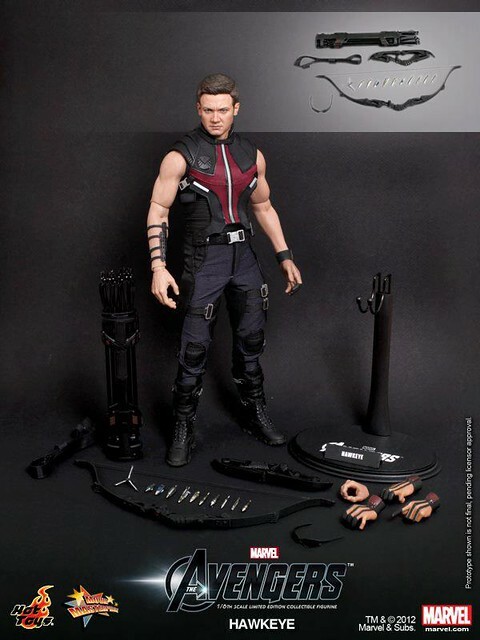 Don't miss out - pre-order your Hot Toys Hawkeye now to avoid Avenger-Assembling disappointment later! Holy Bow and Arrow! he is very nice! Maybe I'll just start resenting the Avengers movie and then I'll have a good reason not to get this.